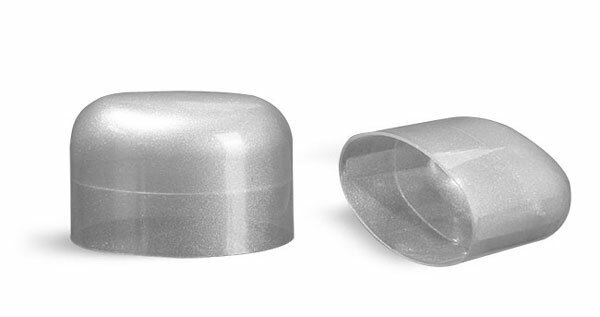 Choose these silver polypropylene dome caps to pair with the matching silver 2.65 oz (75 gram) deodorant tubes. These plastic caps are also compatible with white, black, and natural deodorant tubes and can be purchased in bulk for the best price. Consider pairing these caps with our natural deodorant fitments.